Multi-generational service (followed by an abundant potluck). Childcare available during the service. A service of music, readings, and joy of the season ending with our traditional candle-lit singing of Silent Night. 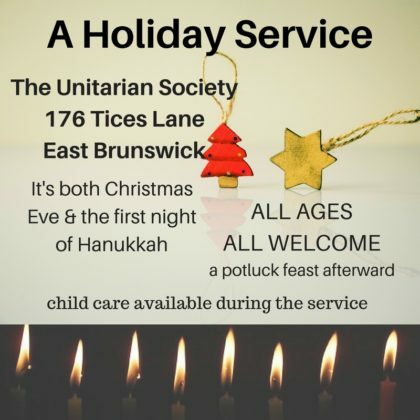 Bring your whole family, bring yourself – let us celebrate in the spirit of Christmas and a dash of Hanukkah (which starts this same night).